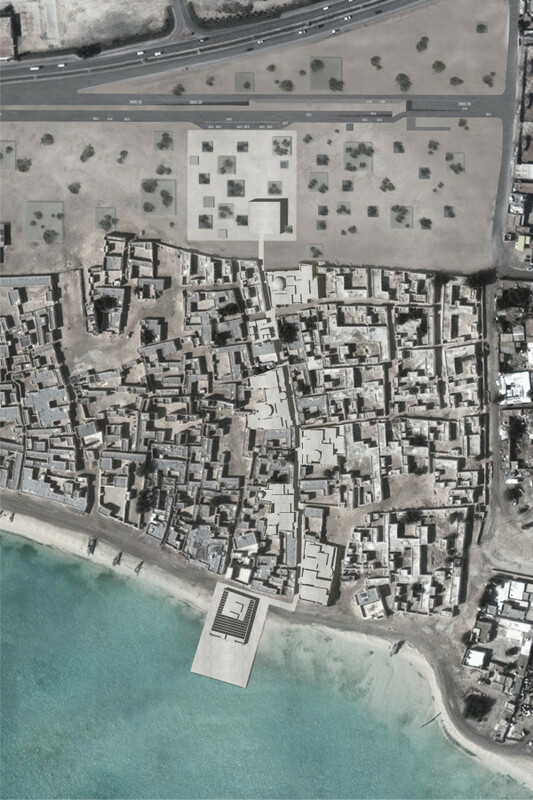 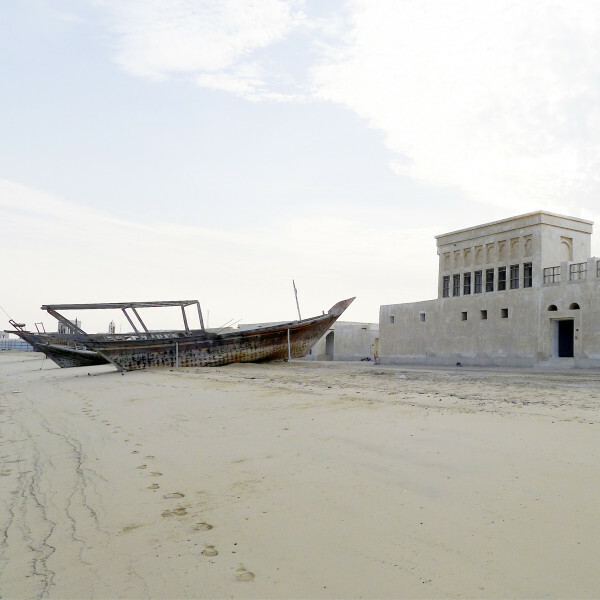 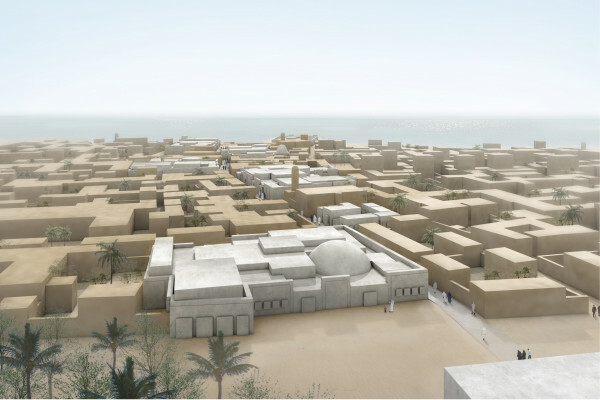 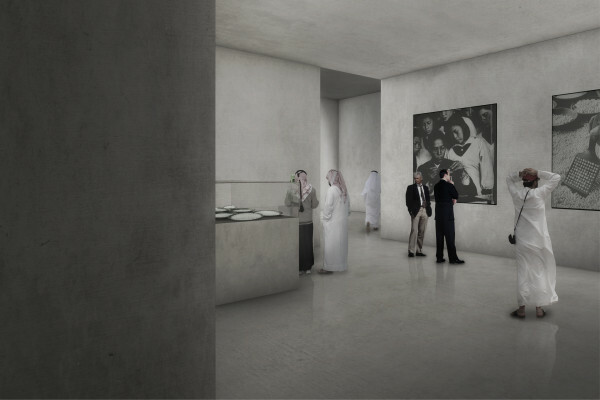 The Pearl- and Jewellery Museum Al Wakrah reinvigorates the rebuilt old-town of Al Wakrah. 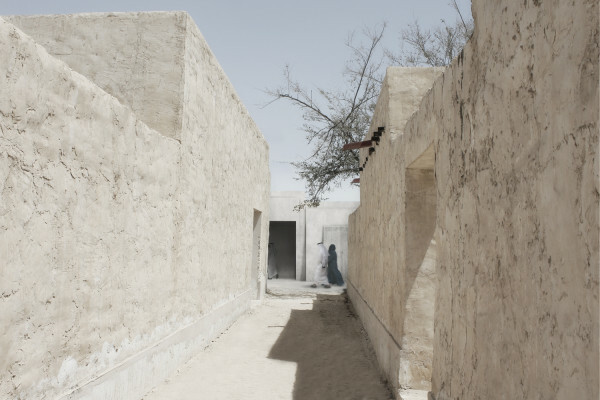 Along one of the typical alleyways connecting the town to the sea five of the lesser important buildings get used as formwork to create new buildings, which allow incorporating highly specialised exhibition spaces and simultaneously blend into the morphological structure of the existing townscape. 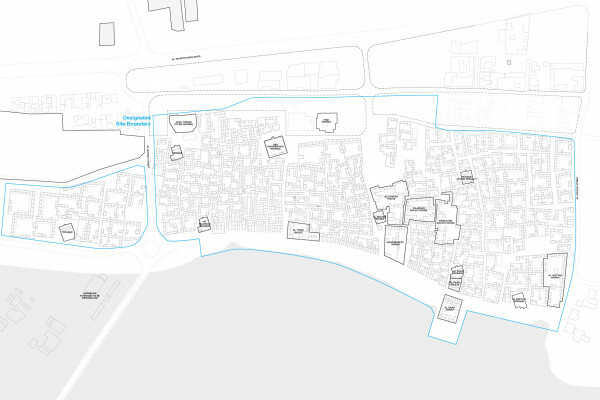 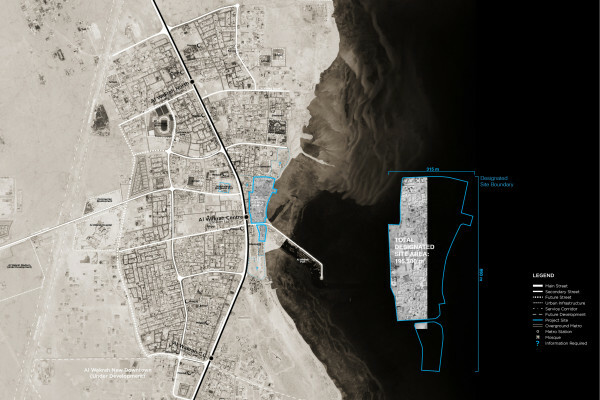 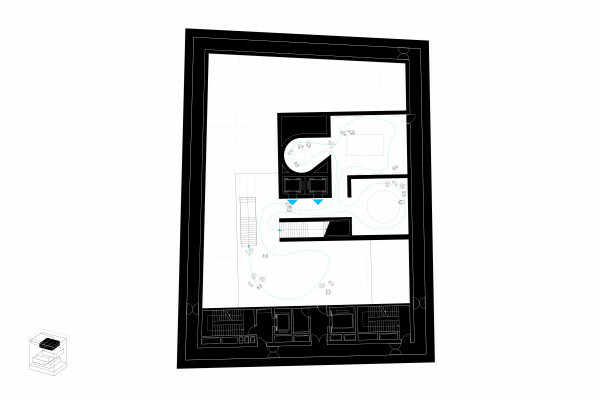 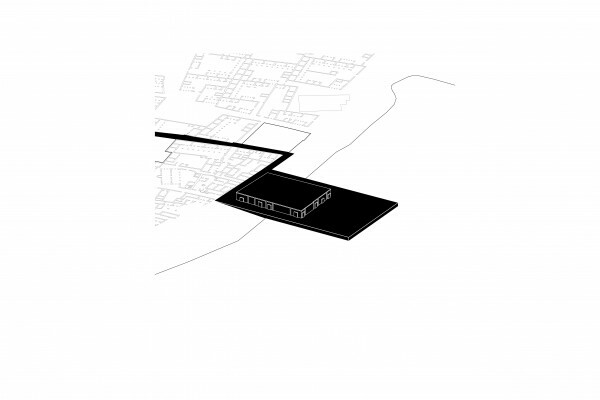 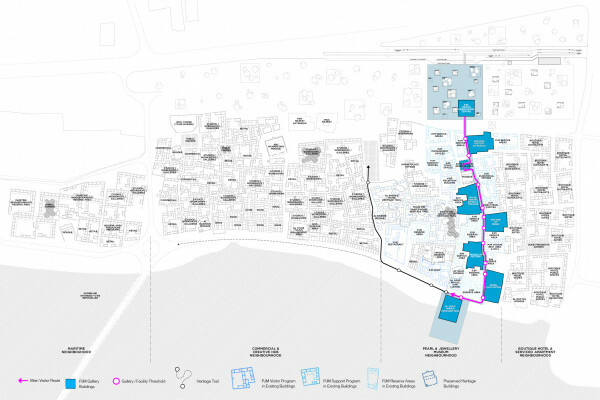 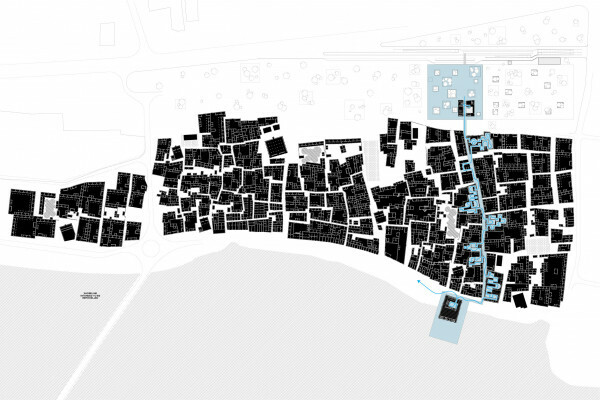 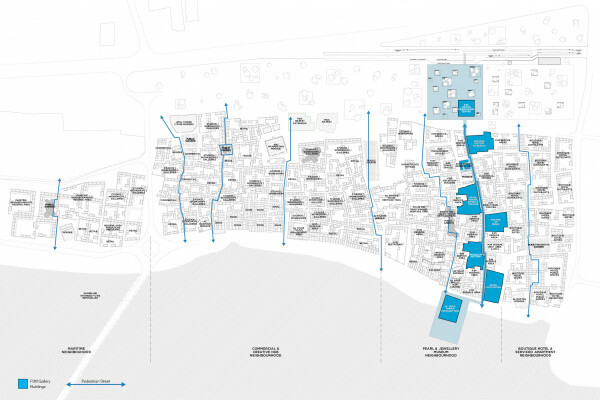 This infiltration occupies five traditional houses in different locations designating a public route that links the contemporary city to the shoreline. 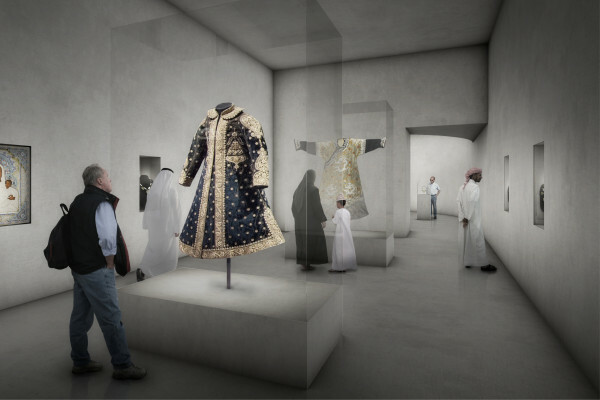 The old courtyard houses will be appropriated as galleries to house the museums collection with each building dedicated to the exhibition of one particular aspect of the creation of pearls and the making of jewellery. 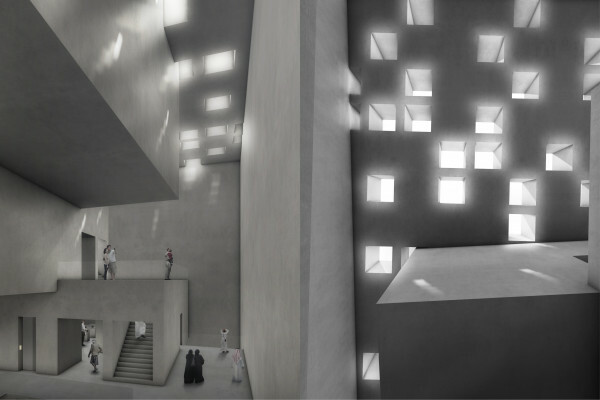 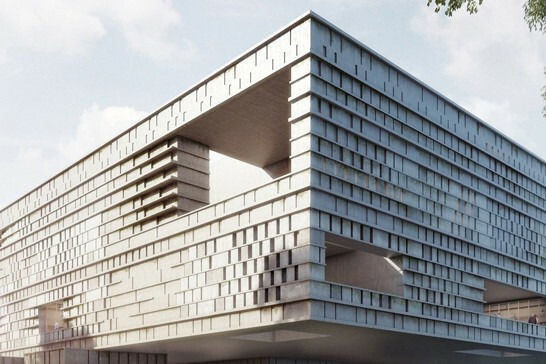 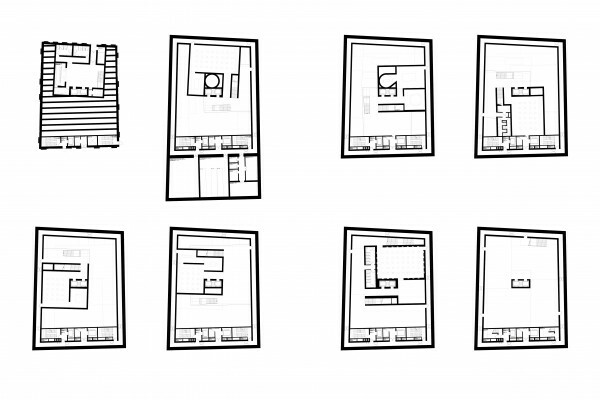 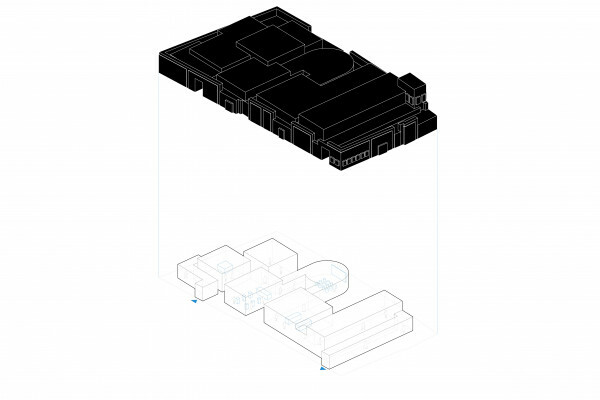 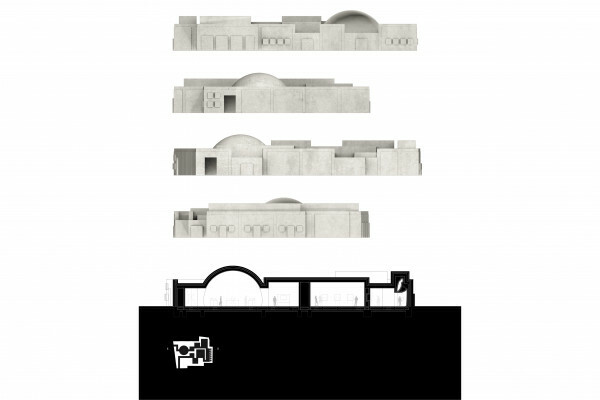 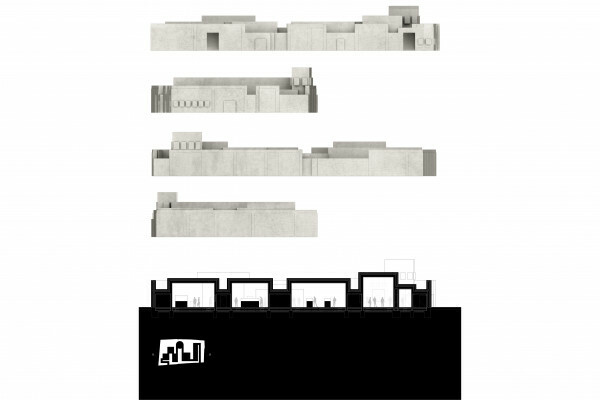 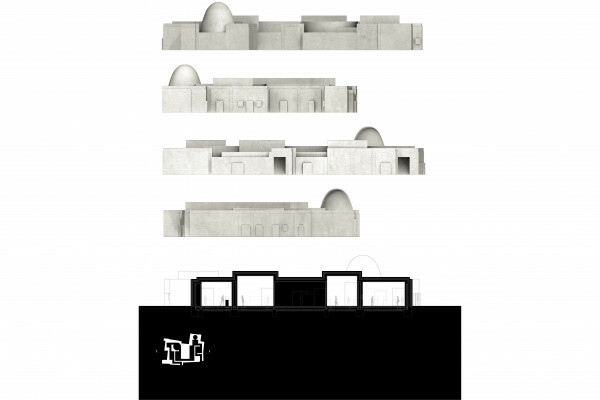 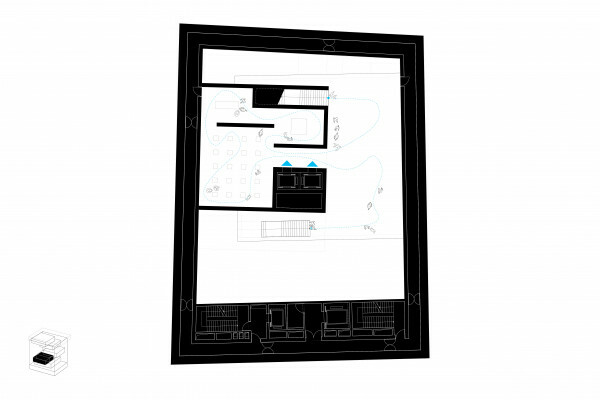 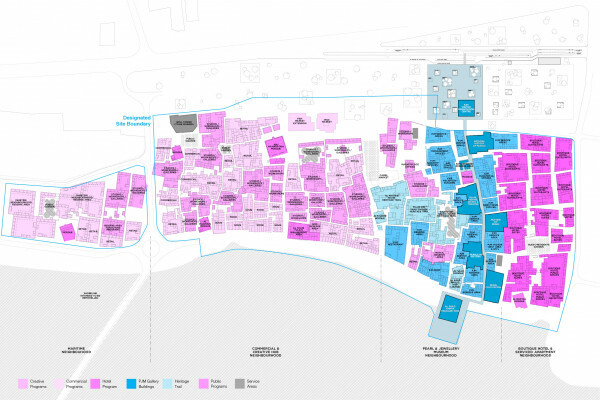 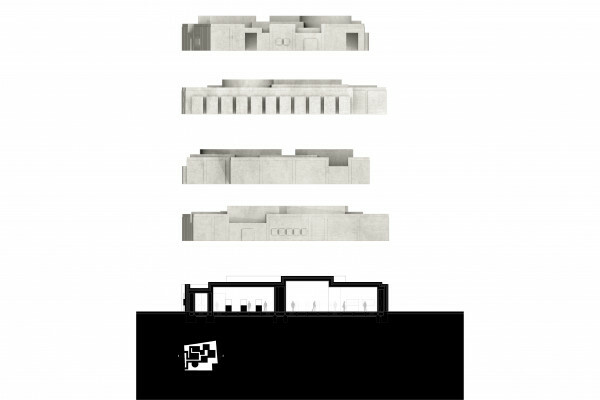 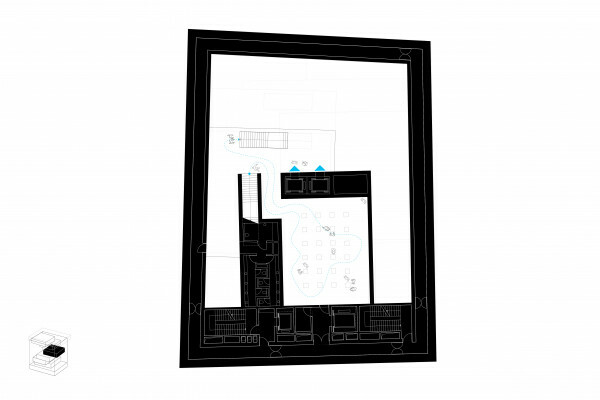 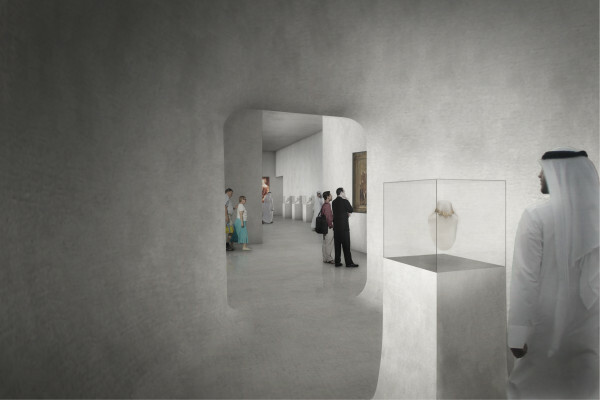 Rather than locating the museum within those buildings deemed the most culturally important, thereby necessitating their considerable alteration, Harry Gugger Studio has chosen those interstitial structures, seen as less significant, for appropriation. 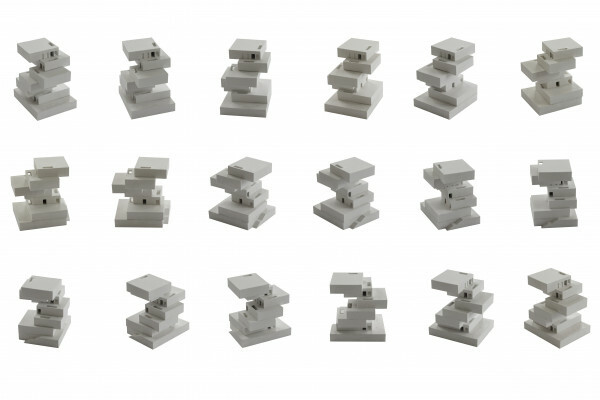 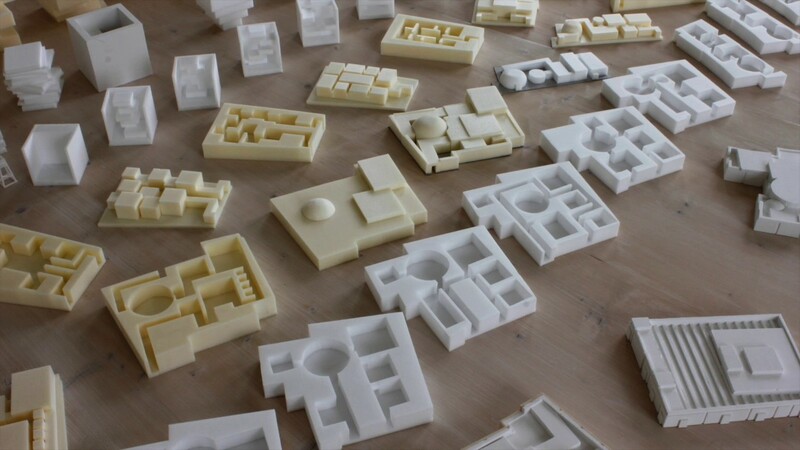 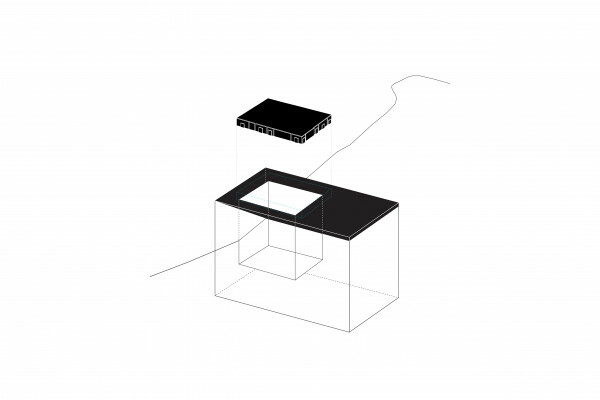 In collaboration with the English artist Rachel Whiteread, these appropriated structures will be re-imagined as negative casts of their volume. 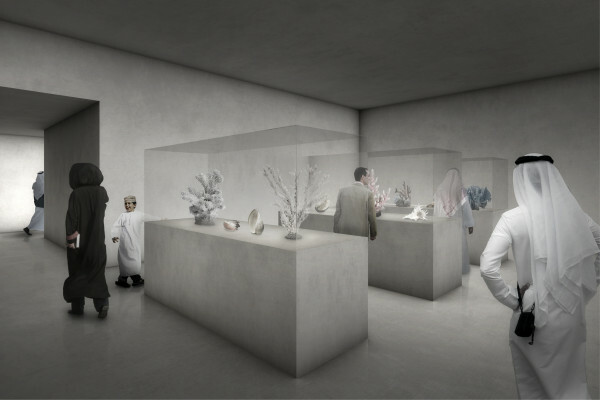 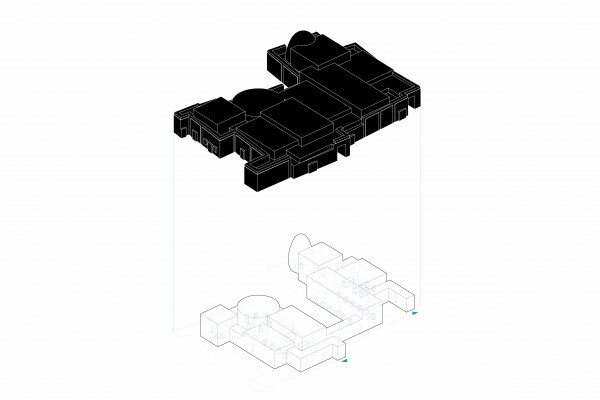 This casting process will preserve the historical fabric of the existing structures whilst providing the optimum conditions needed for the galleries themselves. 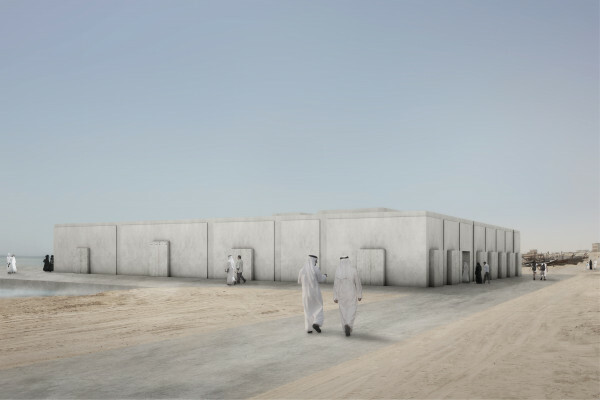 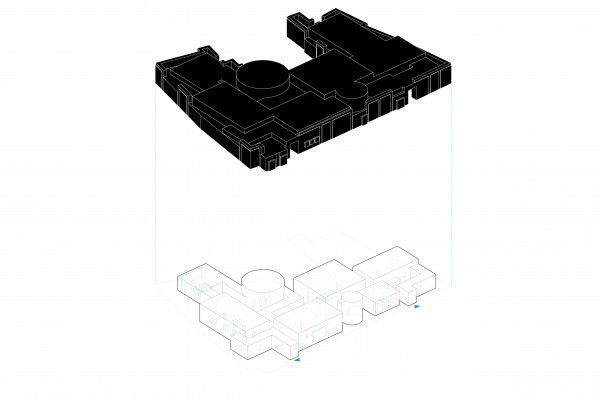 The final volume of these buildings will reflect and appropriate the scale, facade layout and memory of the original structures, whilst their interiors will each be individually tailored for the optimum display of the collection. 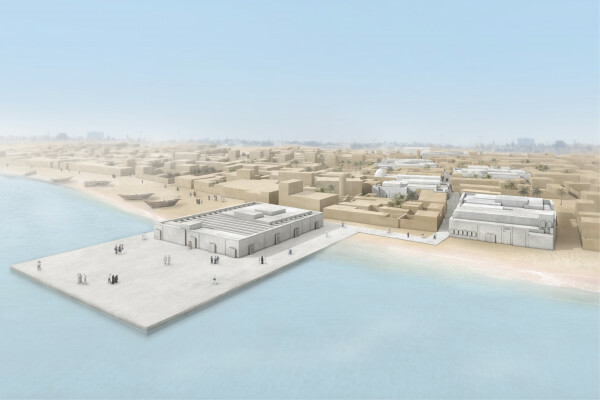 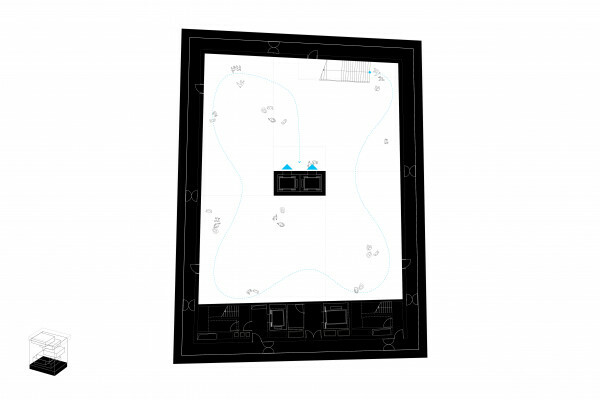 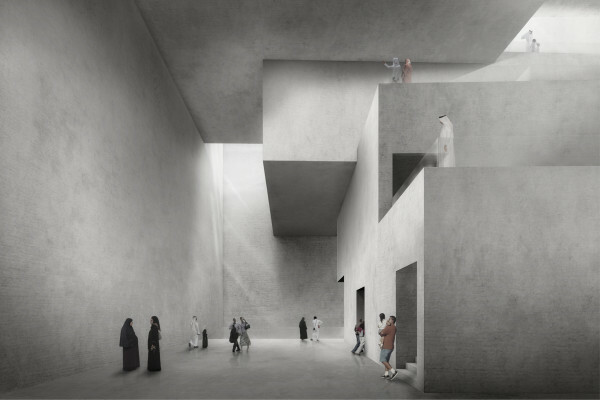 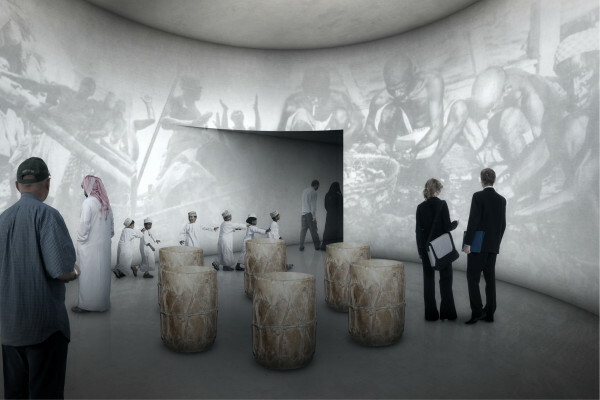 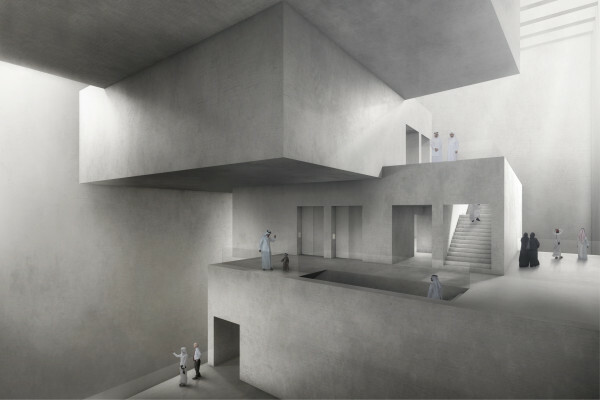 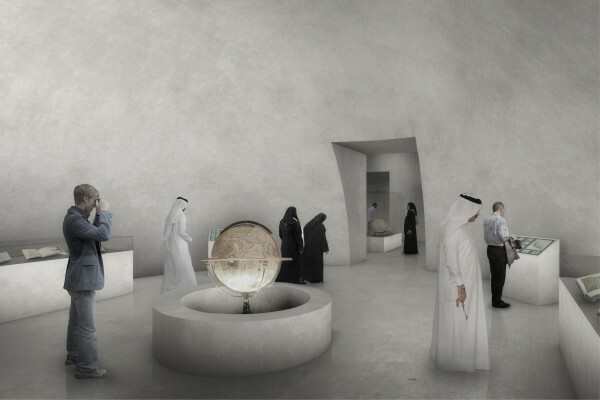 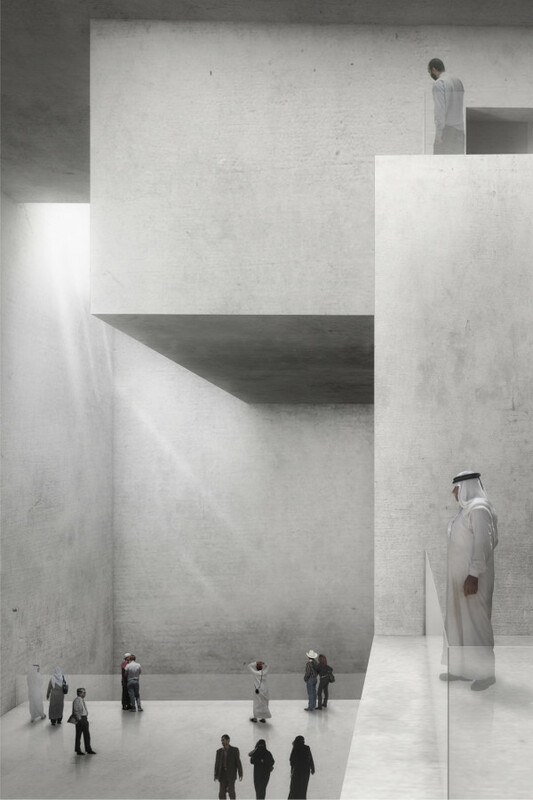 The museums final centrepiece, located below the cast of a warehouse structure that projects out into the sea, will be a sunken Treasury Box dedicated to the key elements of the museums collection. 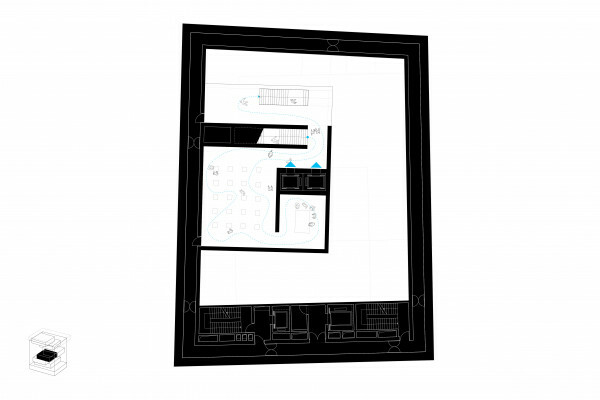 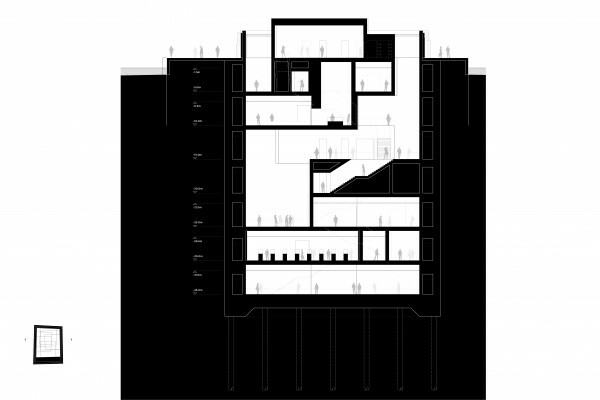 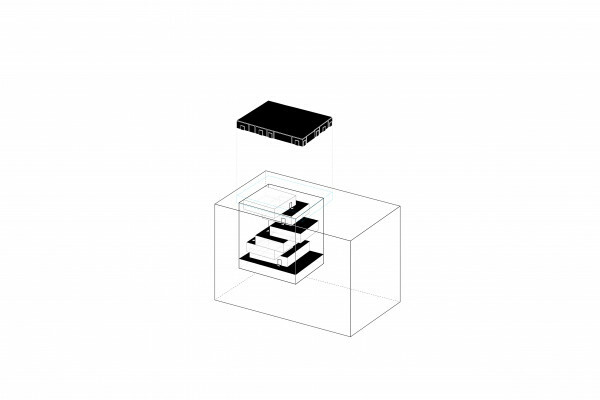 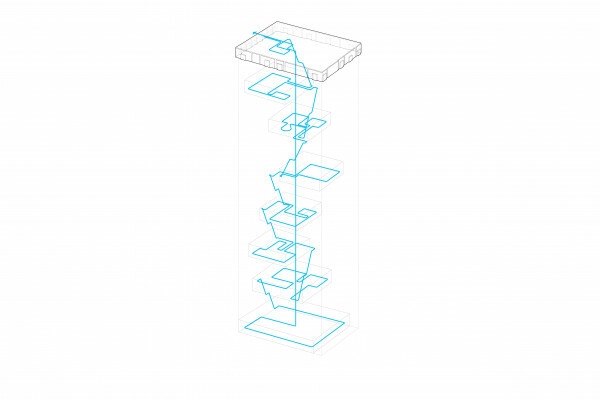 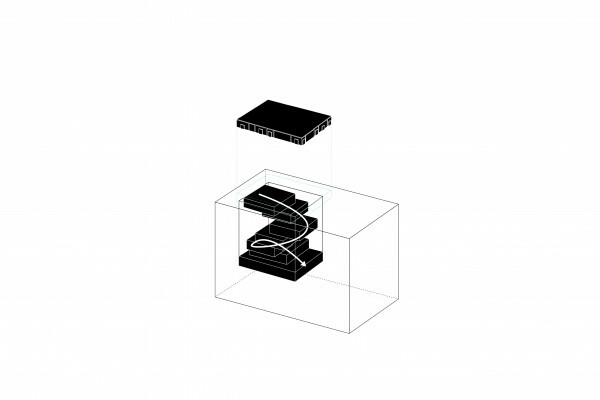 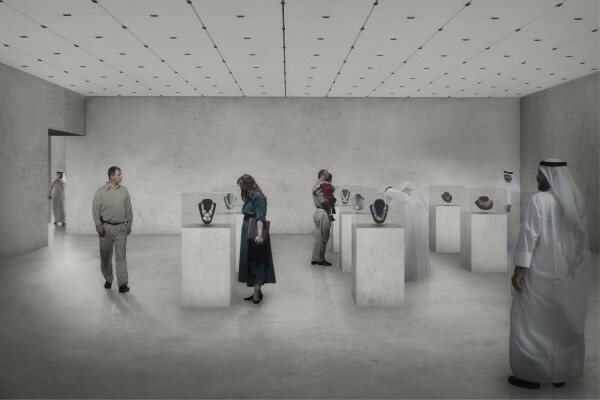 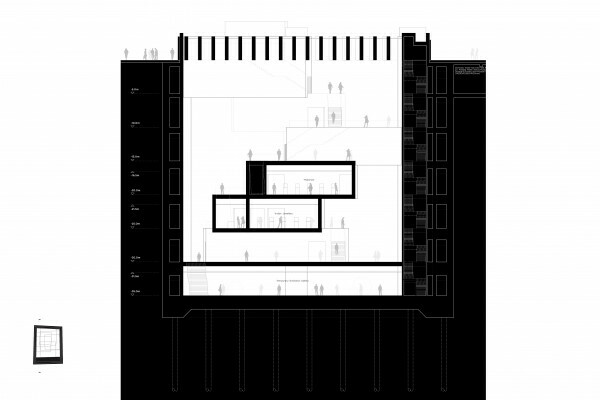 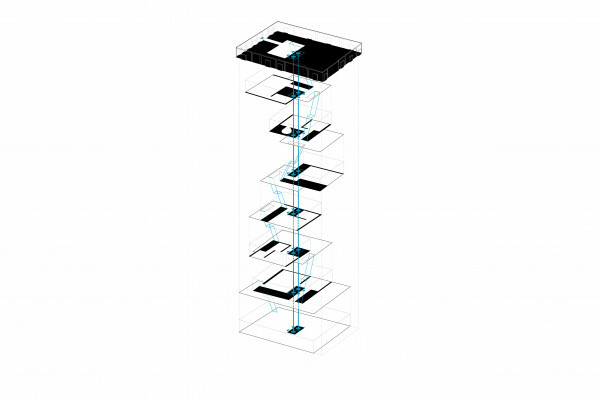 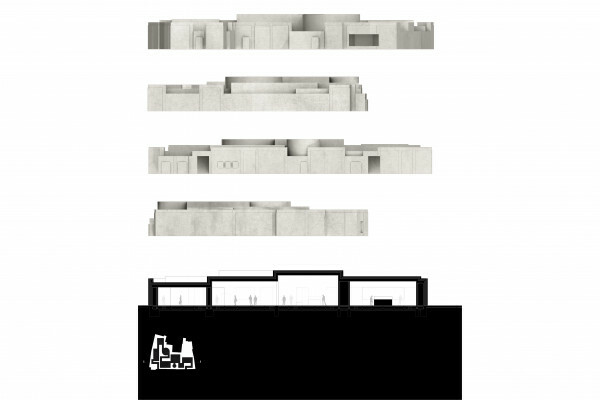 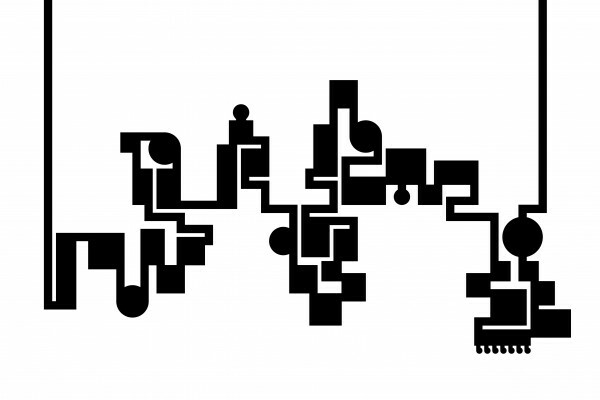 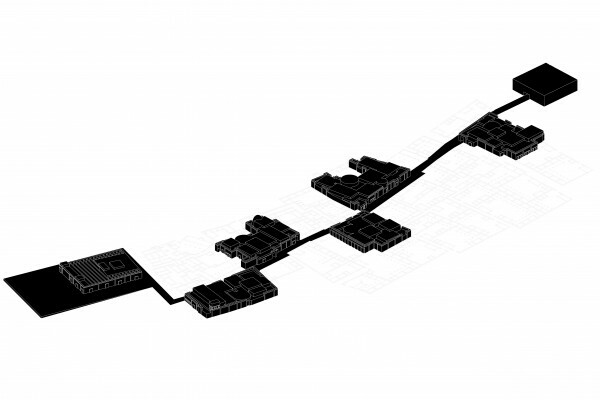 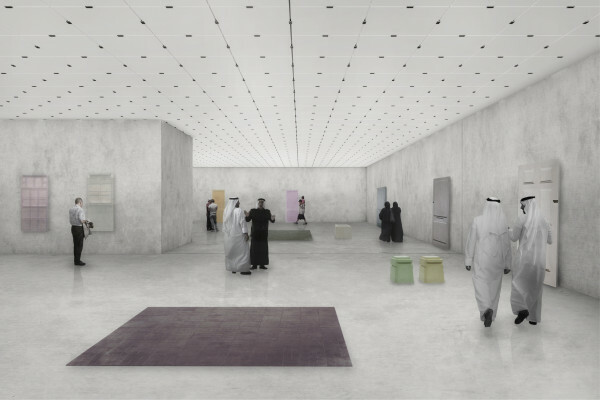 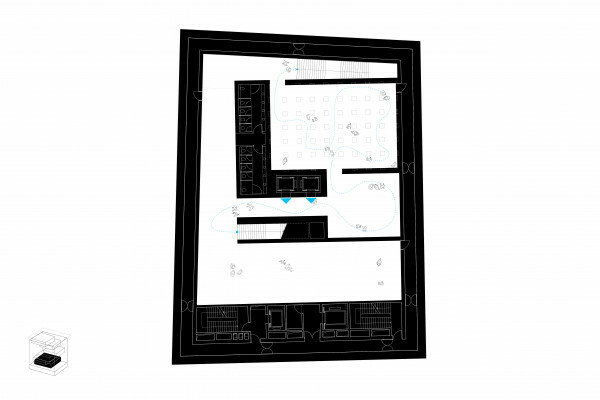 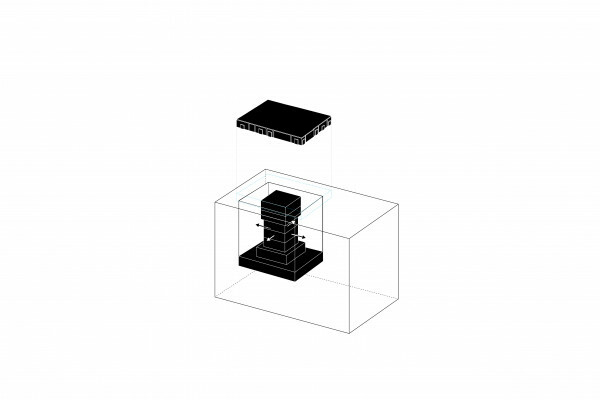 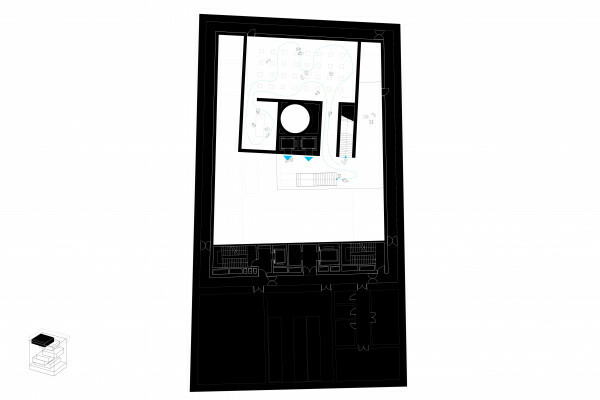 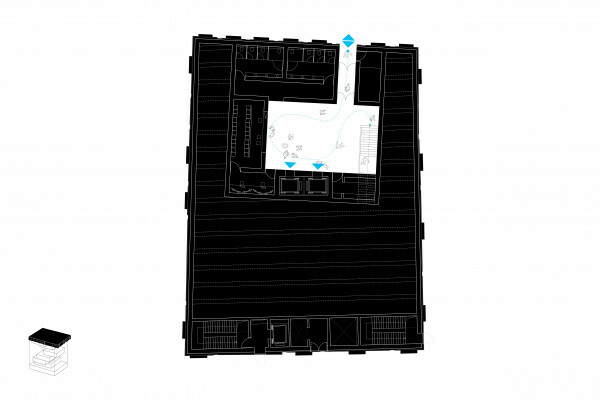 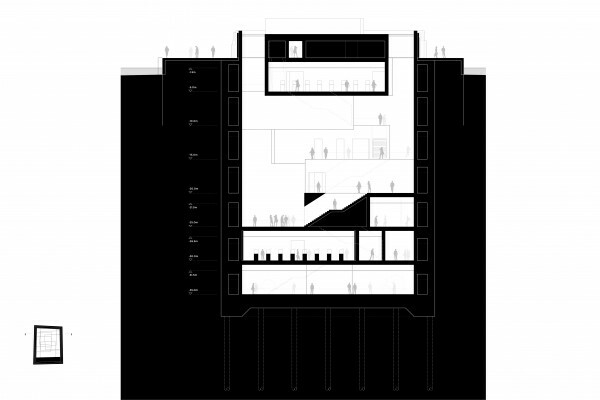 Entirely concealed below the sea, seven floors of gallery spaces stacked in a spiral like manner will descend within a large void to form a radical underground museum.